When you think about winter sports in Fort Wayne, Komets hockey might come to mind. But they’re not the only team that draws crowds to the Allen County War Memorial Coliseum this season. When Adkins, a.k.a “Adkins Riot,” first started on the team, it was like most other roller derby leagues around the country at the time. Now, she says policies have changed and for good reason. The sport is becoming more athletic, and the girls are ditching the fishnets to make it a more family-friendly environment. Instead, Adkins says roller derby is a continuously evolving sport, and it’s the only competitive women’s sport in Fort Wayne. A Fort Wayne jammer attempts to break through a block. Flat track roller derby is an hour-long event, broken up into 30-minute halves. Each team has 15 players, and the objective is relatively simple. 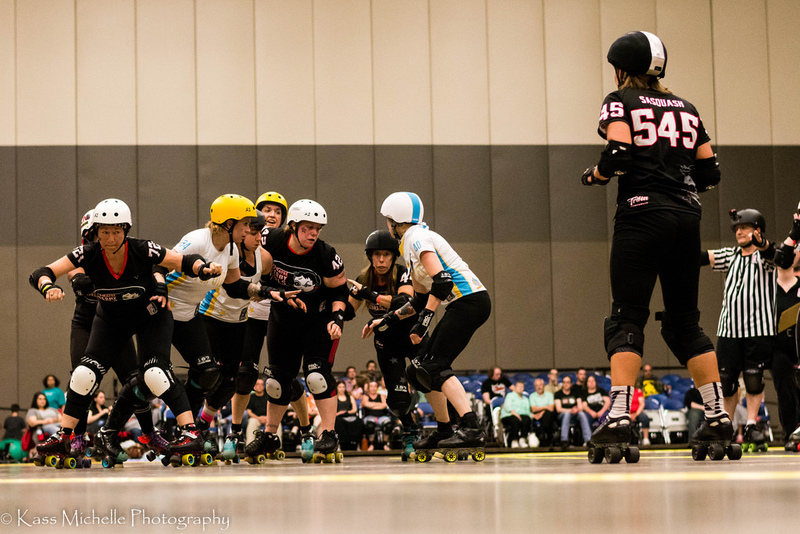 Five players from each team are on the floor at a time, skating around its perimeter while one point scorer (or jammer) on each team attempts to lap the opposing team’s players as many times as they can. The four remaining players on each team are blockers, who try to stop the jammer from passing them. One blocker on each team also doubles as a pivot or backup jammer. Adkins says points are scored when jammers pass opposing blockers within a 2-minute timeframe, called a jam. When the first jammer gets through the opposing team, they don’t get a point. Instead, they become what’s called the lead jammer, allowing them to call off the jam at any time for a competitive advantage. 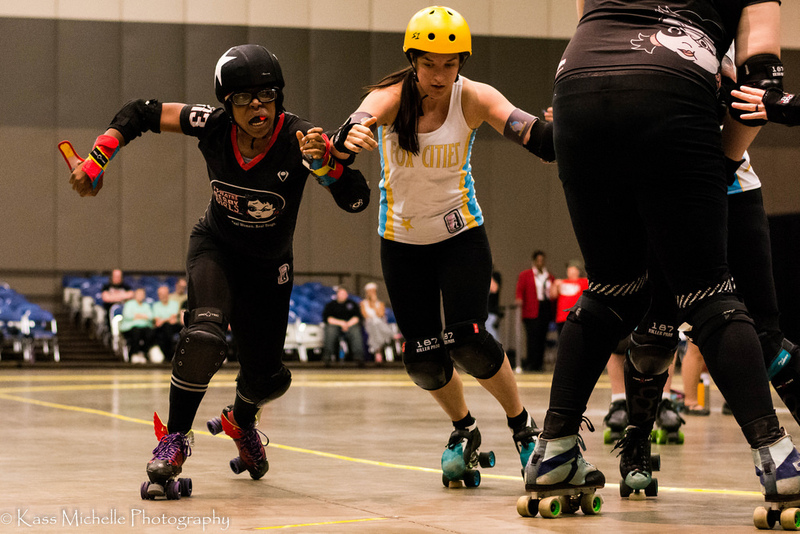 Each jam in roller derby is about two minutes long, or until the lead jammer calls it off. But while the rules of roller derby may be foreign to some, you don’t have to fully understand the sport to enjoy attending it. In fact, keeping up with all the changes in roller derby rules is an ongoing challenge even for regular attendees because the rules change each year, Adkins says. So you learn as you go. One thing that makes the Fort Wayne Derby Girls special for Adkins is that its younger divisions introduce players to the sport at a young age and help them grow with it. These younger divisions are co-ed, too. There is the Tootsie Rollers for ages 5 to 8 and the Fort Wayne Derby Brats for ages 9 to 17. 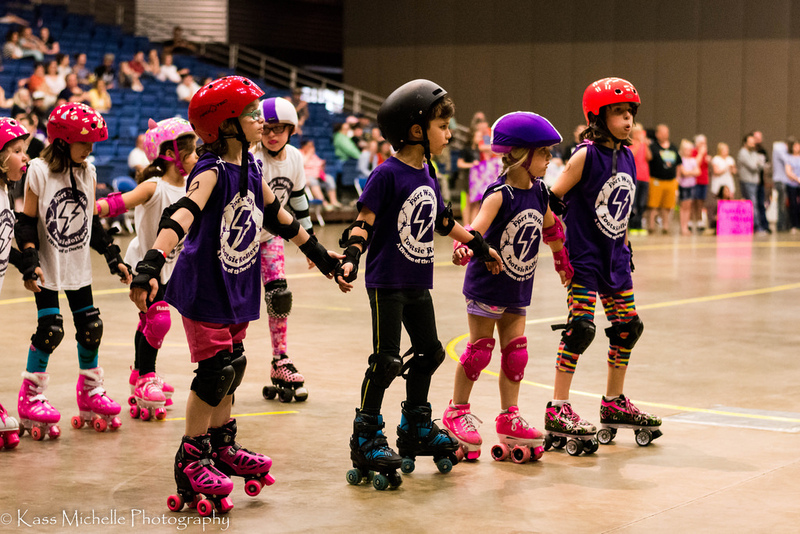 Teams like the Tootsie Rollers introduce local girls and boys to roller derby at a young age. Adkins says the team’s inclusiveness also makes it special. They accept women of all body types and backgrounds. “We just want to know that you want to skate,” she explains. And this confidence and support helps young women grow strong. 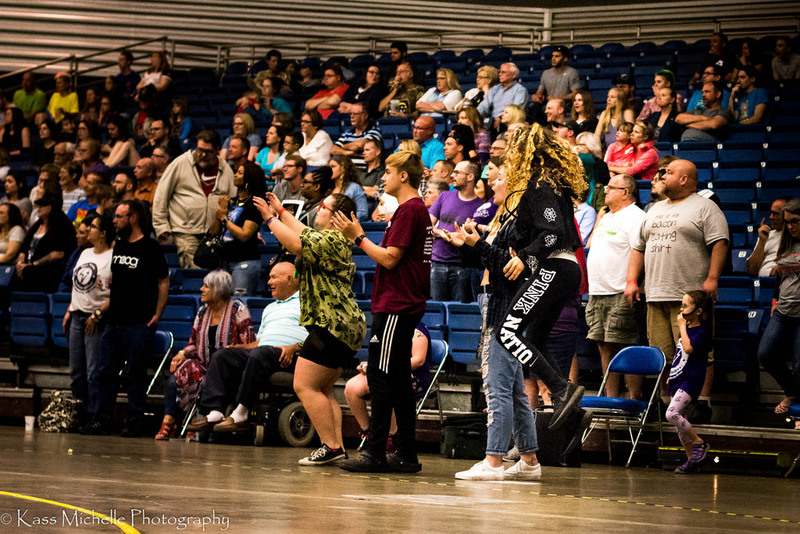 Fans crowd the Allen County War Memorial Coliseum for roller derby. But despite the support from their fans, the challenges of being the city’s only competitive women’s sports team are still there, Adkins says. “I don’t feel like we’re taken as seriously,” she explains. “People think that we should be back doing our jobs or with our families.” Having a mom on the Derby Girls team helps young women grow strong. She says people have different expectations of women than men in professional sports. This difference is also reflected in local coverage of the Derby Girls’ events. 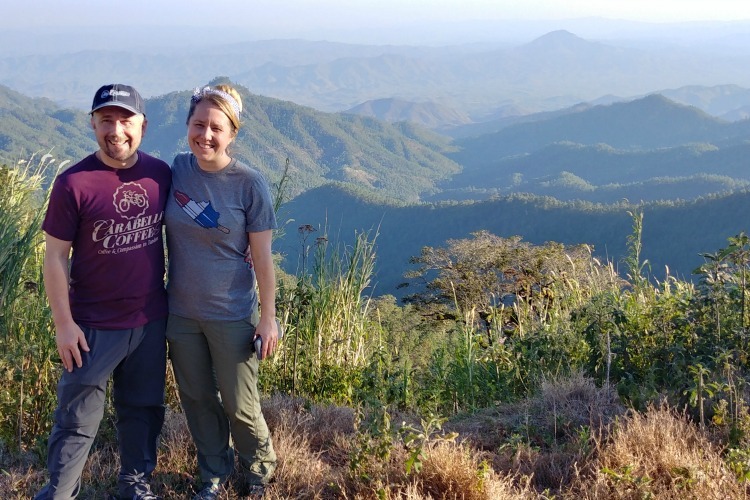 Instead of talking about the game or the athleticism of its players, stories about the Derby Girls tend to revolve around their appearance or the charity work they do, Adkins says. Since May 2006, the team has donated more than $60,000 to local women’s and children’s charities. Adkins says philanthropy was one of the missions of the team’s founding members. 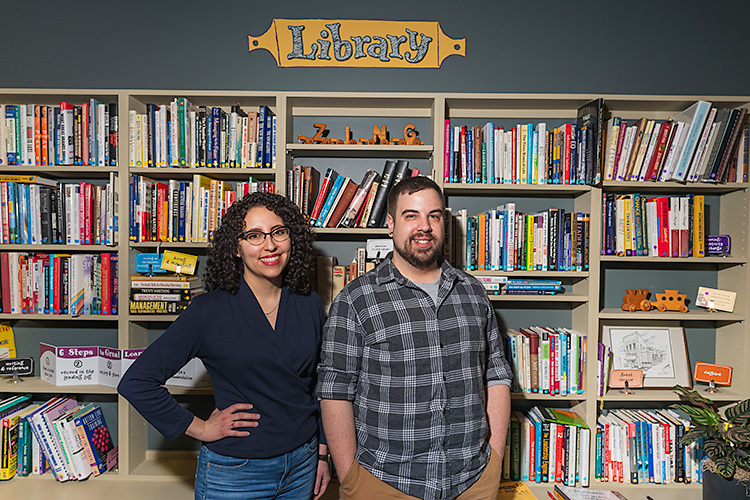 Today, they accept applications from community charities, and four are chosen each year to receive $500 at a game, as well as a booth to interact with the public. But the significance of the team’s charity work goes beyond numbers because the Fort Wayne Derby Girls team is solely run by volunteers, Adkins says. 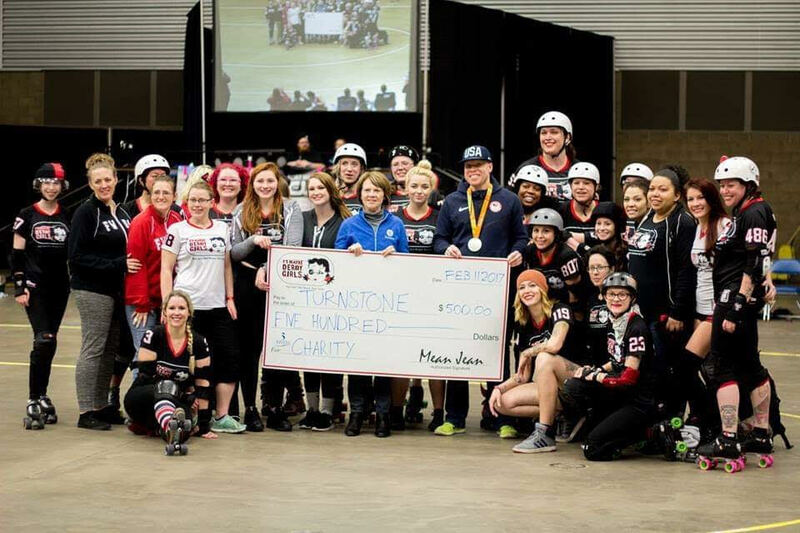 The Derby Girls donate $500 to four charities each season. To keep giving back, Adkins says one of the biggest challenges the Derby Girls have had to overcome is recruitment. The startup costs of playing roller derby were initially too high for many players between equipment, dues, and insurance. So over the years, the team has started lending out gear to players until they can afford it and discounting their dues in order to grow. 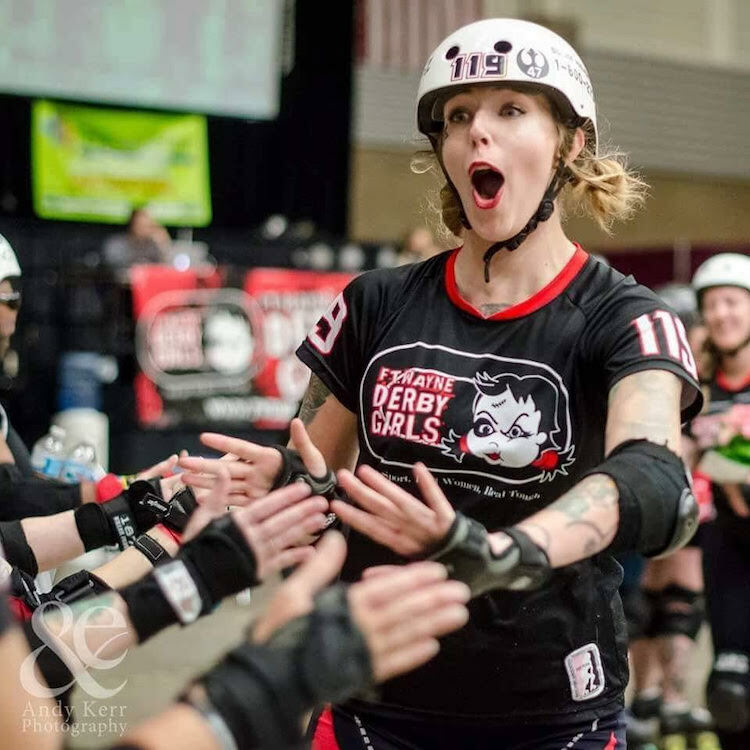 Overall, Adkins thinks the biggest thing the Fort Wayne community and its visitors can do to support the Derby Girls is attending their games or volunteering with them. “Tell five friends about us,” she says. The Fort Wayne Derby Girl’s next game is at 5:30 p.m. on Nov. 3 in Cincinnati. Their season opener game is scheduled at 6 p.m. on Feb. 23 at the Coliseum. Their season runs until May 18. 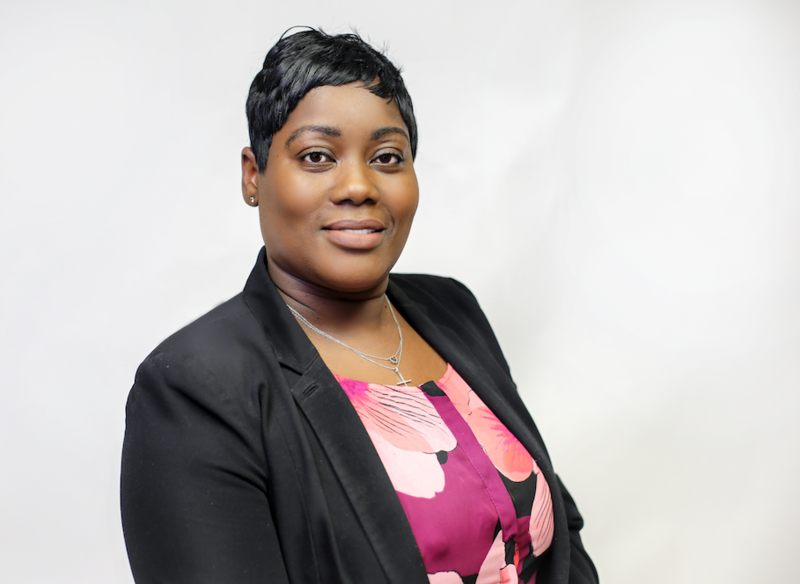 Read more articles by Sarah Ratledge. Sarah Ratledge is a writer from metro-Detroit. 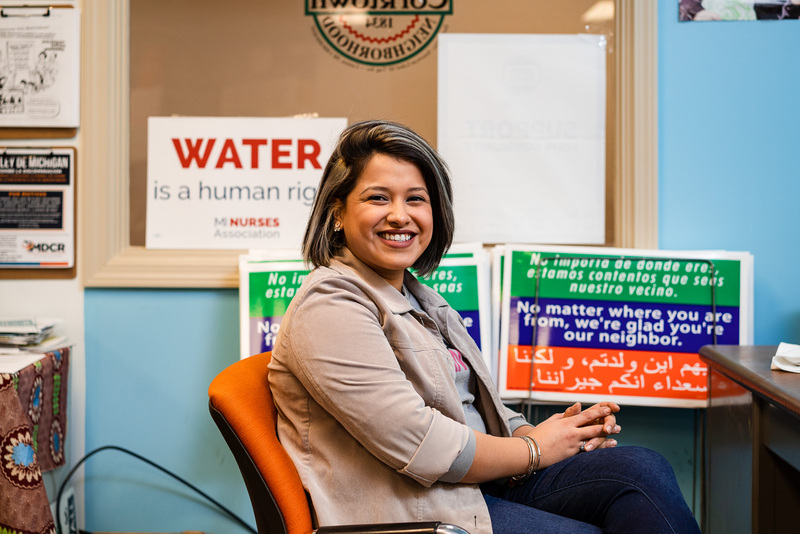 She came to Fort Wayne in 2017 to attend school at Indiana Tech where she is working toward a bachelor’s degree in Communication. She is a pitcher on the school’s softball team. She loves to write and hopes to continue long after graduation.